Su:m37º Blossom Garden, with the force of nature sincerely attained after a long time of waiting and ingredients gained from the lactic acid fermentation of Hibiscus, well-known forits benefits for women's health, is a natural fermented ingredients gained moisturizing product line that helps promote your skin moisturized and vital. This protects your skin from dryness and gives the vitality of your skin. The skin vitality and moisturizing skin that gently covers skin and lets you have moisturized and smooth skin. 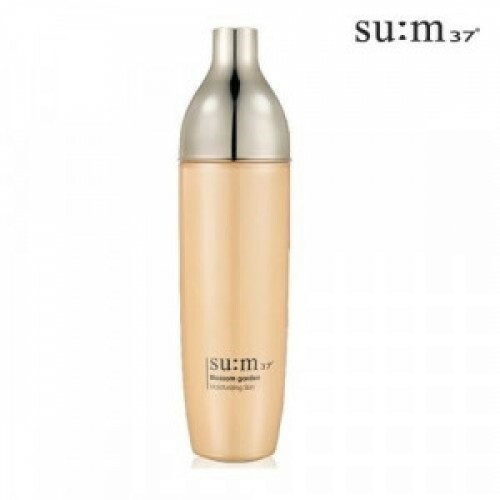 ● How to useDispense some amount of toner after facial wash and apply it on the skin using outward strok as if gently wiping.